I am a big believer in my fellow man and operate on the basis that a fellow investor on the other side of the transaction is honest. Nonetheless from time to time Sellers of property and particularly commercial, industrial and retail property casually or even negligently provide material and documentation to investors. From time to time therefore figures relating to the income from a property are ultimately found out to be inaccurate by the Buyer and their advisors. Much time and money can be wasted and thrown away in this process and a prudent investor might consider including a clause along the following lines to keep the Seller honest. A simple clause along the following lines will usually have this effect. The Seller confirms the accuracy of all documentation, material and figures supplied by it in relation to the sale of the property and in particular and without limitation the accuracy of all financial statements, figures, rental and other income and expenses relating to the property. Armed with the benefit of such a clause, if there is a serious discrepancy in what has been supplied to you at least now you have the basis for making a claim against the Seller. And it is not just the financial cost of engaging accountants and other experts that is thrown away. Often it is the time wasted and the opportunity cost of missing another property that would have been available to you, but now is not, had you known that the figures for example supplied to you were no better than something prepared “on the back of an envelope”. 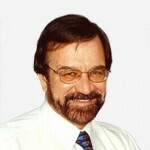 Rob is a partner in the Gold Coast based law firm MBA Lawyers. He is a highly regarded educator of property investors and estate agents and the author of the "Made Simple" series of books and CD's.